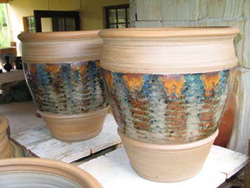 001 – Large pots coming out of the kiln. 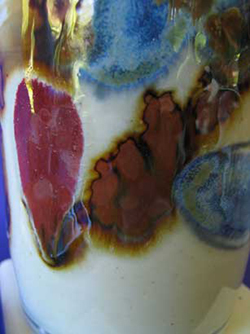 002 – Detail of wax resist decoration on pots at left. 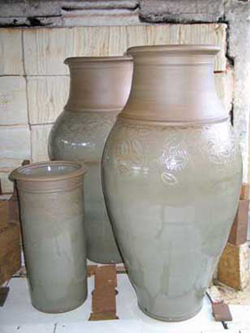 003 – Large floor jars coming out of the kiln. 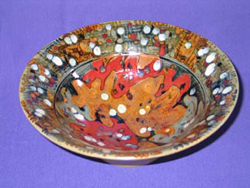 004 – Porcelain bowl 180mm diam. 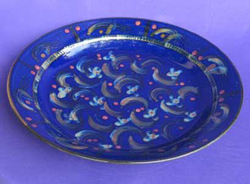 005 – Stoneware platter 580mm diam. 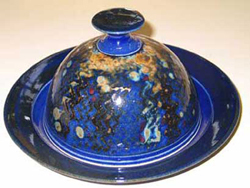 006 – Orcelain covered dish 220mm diam. 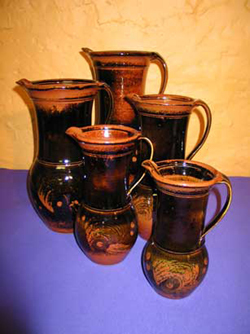 007 – Stoneware jugs. 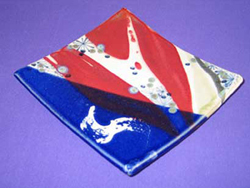 008 – Stoneware sushi dish 220mm square. 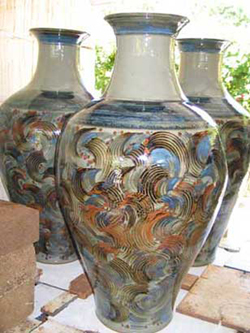 009 – Porcelain vases & lidded pots. 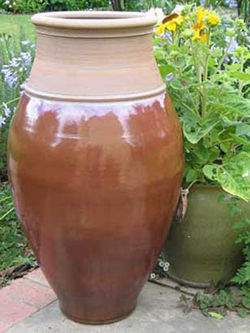 010 – Large stoneware jar 750mm tall. 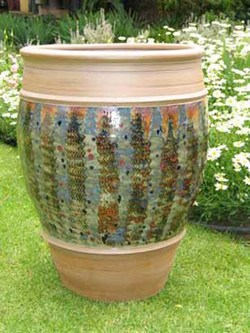 011 – Stoneware planters 600mm tall. 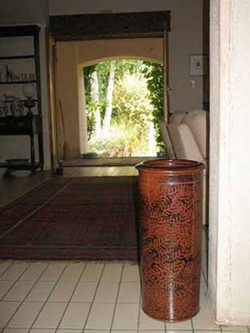 012 – Stoneware floor jar 1100mm tall. 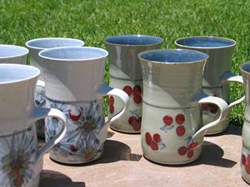 013 – Porcelain mugs. 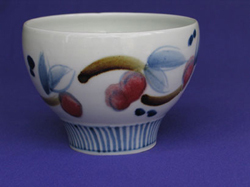 014 – Porcelain bowl 180mm diam. 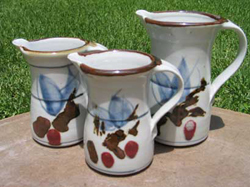 015 – Porcelain jugs 150 to 230mm tall. 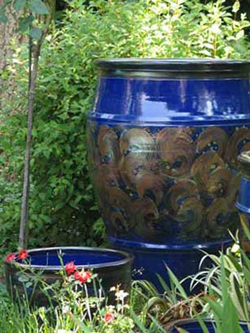 016 – Large blue glazed stoneware urn, 1100mm tall. 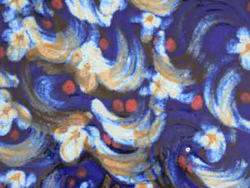 017 – Detail of brush decoration on blue porcelain. 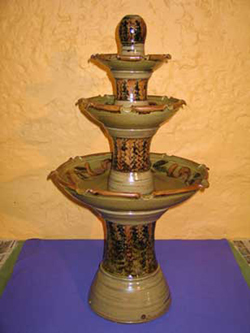 018 – Stoneware water feature 1200mm tall. 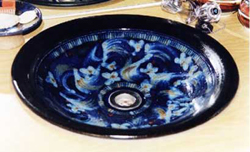 019 – Stoneware washbasin in blue glaze. 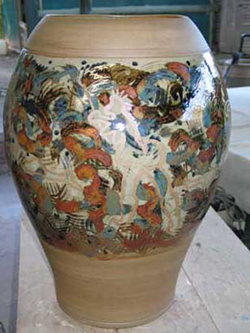 020 – Stoneware jar 480mm tall. 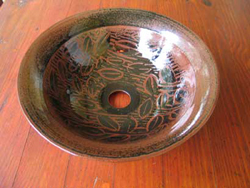 021 – Washbasin in tenmoko double glaze. 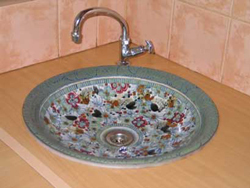 022 – Hand washbasin off white glaze, brush decoration 580mm diam. 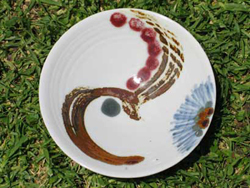 023 – Stoneware bowl, oatmeal glaze oakleaf pattern. 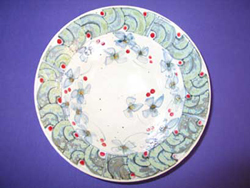 024 – Stoneware hand washbasin, celadon with brush decoration. 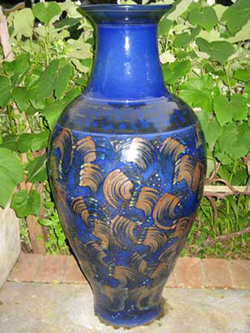 025 – Stoneware vase black glaze 360mm tall. 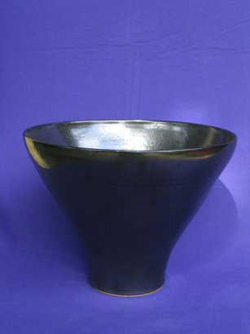 026 – Stoneware bowl black glaze 300mm diam. 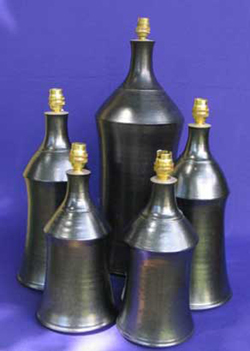 027 – Stoneware lamp bases 280 to 400mm tall. 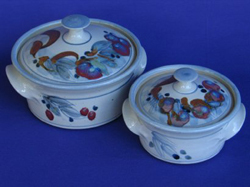 028 – Stoneware casseroles. 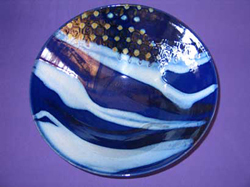 029 – Porcelain bowl. 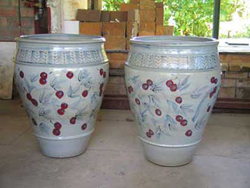 030 – Large stoneware planters 700mm tal. 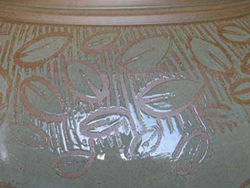 031 – Stoneware floor jar, brush & wax resist decoration. 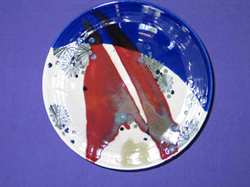 032 – Stoneware platter 580mm diameter. 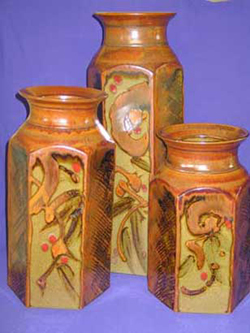 033 – Stoneware slab vases, 400 to 750mm tall. 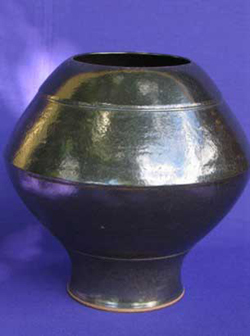 034 – Stoneware lidded jar 380mm tall. 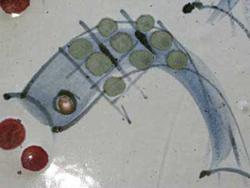 035 – Detail of brush decoration – fish. 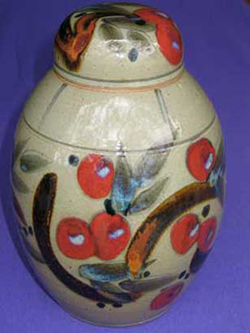 036 – Stoneware lidded jar 360mm tall. 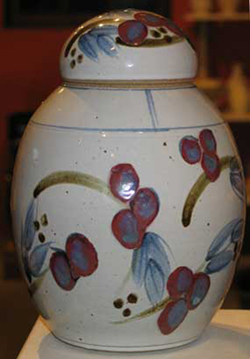 037 – Lidded porcelain pot. 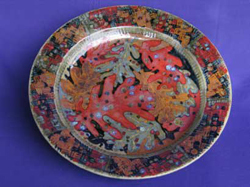 038 – Stoneware platter, oakleaf decoration 550mm diam. 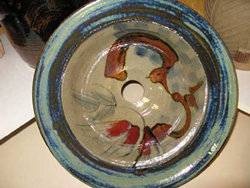 039 – Porcelain bowl 240mm diam. 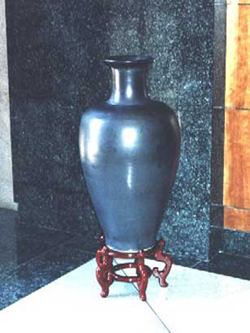 040 – Large black glazed stoneware urn 1200mm tall. 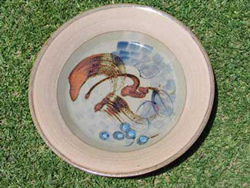 041 – Platter 550mm diameter. 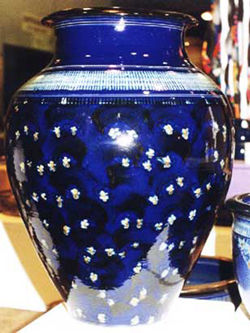 042 – Blue glazed stoneware floor jar, brush decoration, 900mm tall. 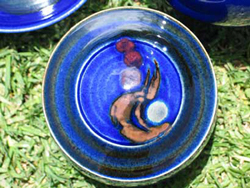 043 – Detail of brush decoration on blue glaze. 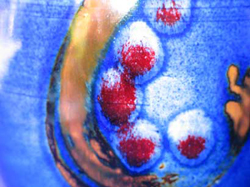 044 – Detail of brush decoration on porcelain. 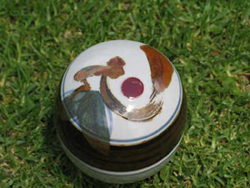 045 – Porcelain lidded box. 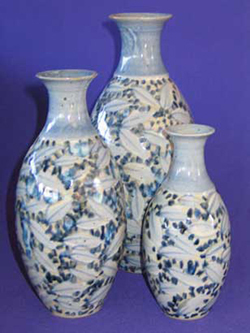 046 – Porcelain vases 160 to 290mm tall. 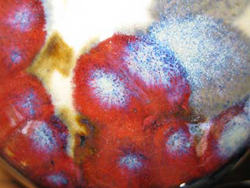 047 – Detail of copper red decoration on porcelain. 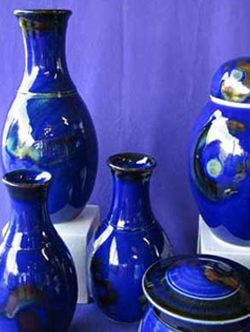 048 – Pots & pain. 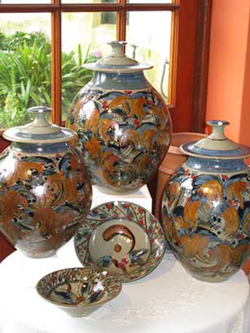 049 – Group of stoneware bowls & lidded jars. 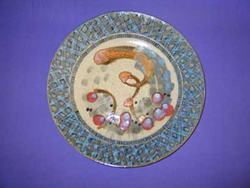 050 – blue glazed stoneware platter 580mm diameter. 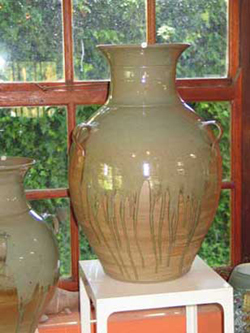 051 – Large stoneware floor jar 750mm tall. 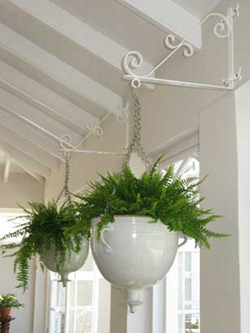 052 – Hanging planters with ferns. 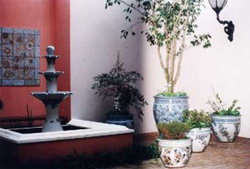 053 – Fountain, tiles & planters in courtyard. 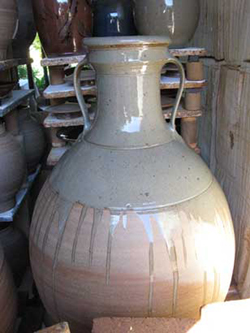 054 – Large stoneware floor jar 780mm tall. 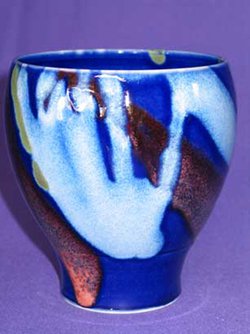 055 – Porcelain bowl 160mm tall. 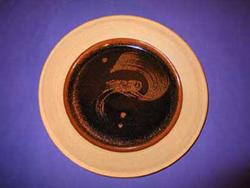 056 – Platter 580mm diameter. 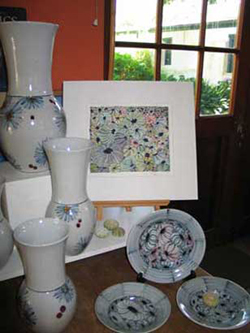 057 – Stoneware umbrella stand 580mm tall.